Chris Blackshaw, CEO of the Century City Property Owners’ Association (CCPOA), which is responsible for the day-to-day operations of the precinct, has advised that the Operational Management Forum that co-ordinates and facilitates law enforcement, security, traffic and disaster management issues within Century City has been proactively preparing for this year’s festive season. He said representatives from Canal Walk, SAPS, Milnerton Traffic Services and Century City Security recently met with CCPOA management to update the Century City Festive Season Preparedness Plan. In terms of traffic, all the signalised intersections are on the SCOOT system, which results in signal timings changing automatically according to real-time traffic patterns. Blackshaw said there has been extensive and ongoing liaison with Goodwood Traffic Management Centre (TMC) throughout the year. The Century City Security Operations Centre (SOC) has a direct line to the Traffic Systems Operations Manager to facilitate rapid adjustment to the timing settings of traffic signals when required. He said two traffic officers dedicated to Century City will work both shifts between 6am and 10pm, including weekends, over the festive season. The Variable Messaging System (VMS) will be implemented to warn motorists of any traffic congestion, accidents and general messaging. One VMS has recently been relocated to the Waterford precinct and one additional VMS has been installed on Century City Avenue, direction Bosmansdam Road, to improve the coverage of this system. Blackshaw said Canal Walk was confident that access and egress into their parking areas will be smooth. Regarding public transport, he said the MyCiTi, Golden Arrow and minibus taxi services will operate until 10:30pm to accommodate the extended Canal Walk trading hours. He said all Century City security service providers as well as the CCTV surveillance operators in the 24/7 SOC will be on heightened alert, and Canal Walk and Century City have both stepped up their general security. O The newly converted emergency response vehicles will be deployed to increase visibility and deployment efficiency. o Foot and bicycle patrols will be deployed according to daily risk assessment. o The Vehicle Check Point (VCP) trailer will be strategically placed around Century City to improve visible heightened security, and VCP operations will continue into January 2019.
o CCTV infrastructure has been upgraded, with 34 cameras replaced and a further nine new cameras installed. o The Licence Plate Recognition system will be fully operational, monitoring all vehicles entering and leaving Century City. 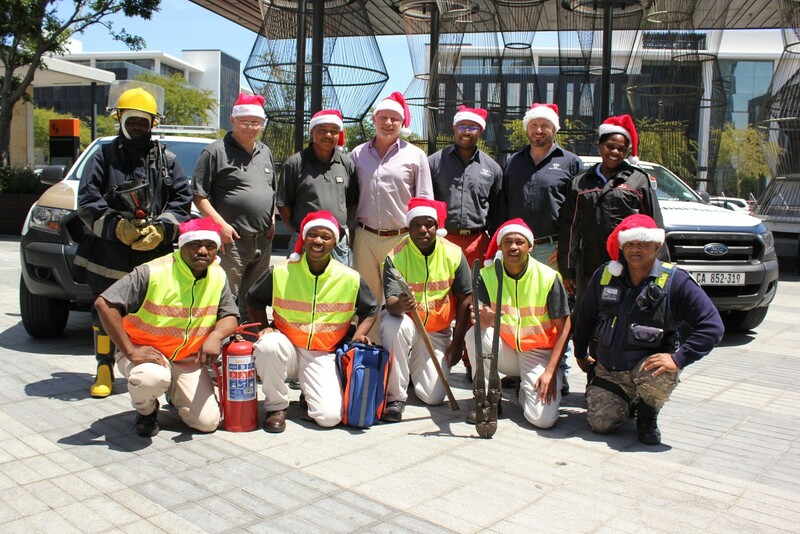 o Heightened security measures in Canal Walk will continue throughout the festive season. Blackshaw stressed that in the event of an emergency, the Century City SOC should be contacted immediately, who in turn would contact SAPS, City Traffic Control Centre and other emergency services. The contact number for the 24/7 Century City SOC is 021 202 1000. Canal Walk is extending its shopping hours for the festive season.